Not far from world famous Duval St. spend late nights doing the "Duval Crawl". Southernmost Point in the USA! 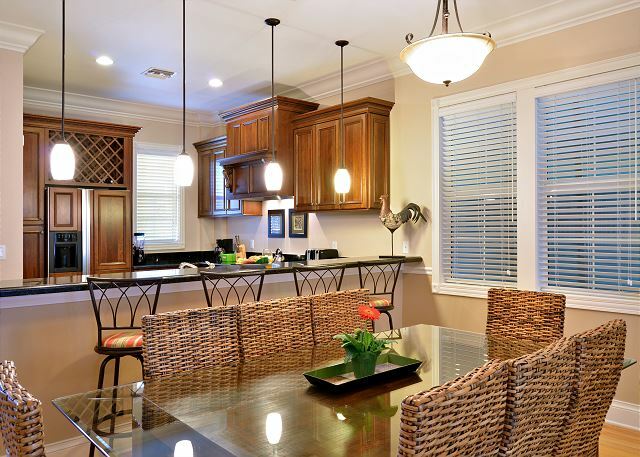 Dining area in an open floor plan looking at the kitchen. There is a separate toilet room from where this photo is taken. 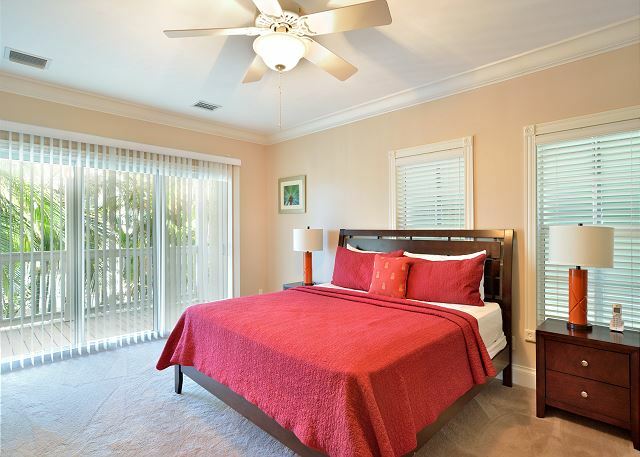 This room can be made into one King bed or as shown, two twin beds. Our fourth bedroom, the loft has 4 twin beds. At your request, we can connect two twins to make one king. Requests should be made 10 days prior to arrival. 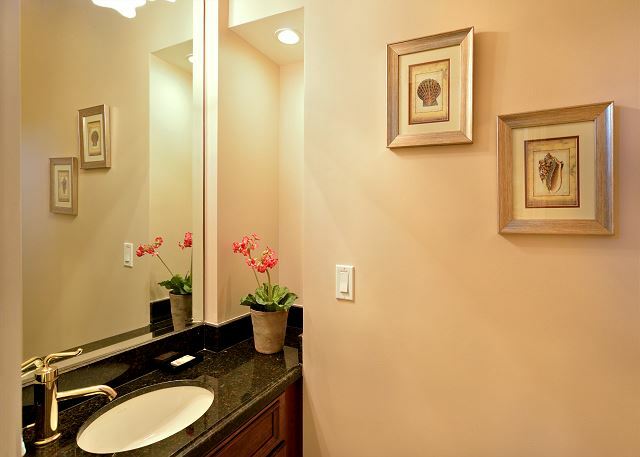 Nicely appointed 1/2 bath or powder room on the first floor as you come in from the front door and before the kitchen. 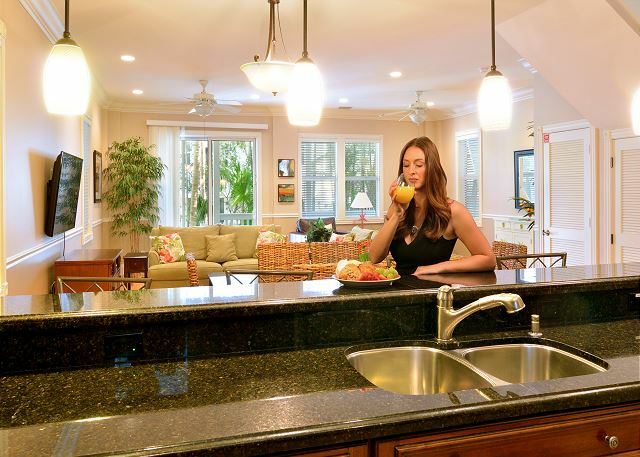 All our homes have modern technologies to help make your stay easier and more convenient. 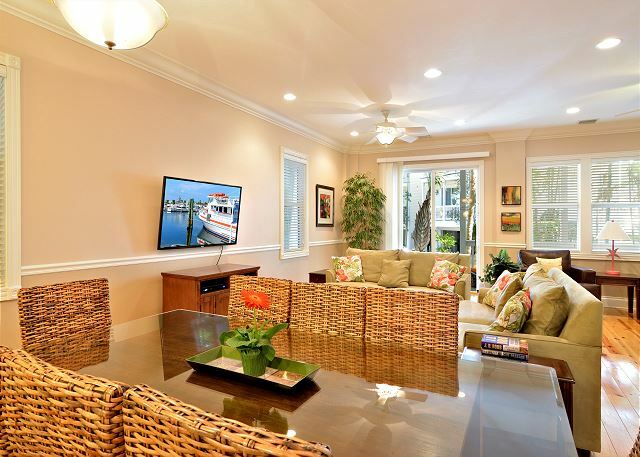 "Seafarer’s Refuge” is a spacious home with the ability to sleep a large group comfortably, a private pool and tropically furnished yard, a prime Old Town location, and a private 43’ boat slip. 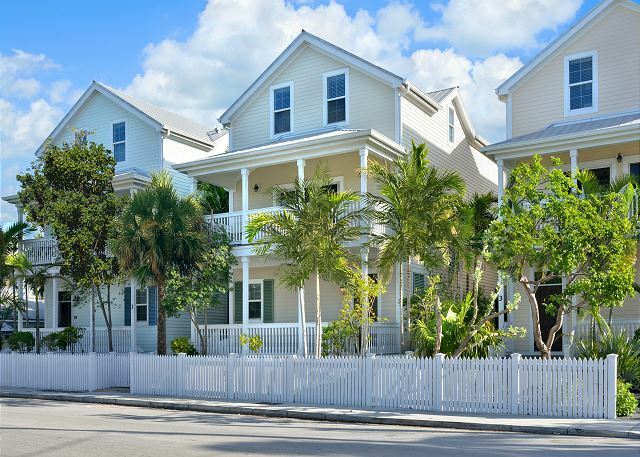 All of the typical Key West spots are accessible by a short walk or bike ride, but should you decide to drive there is private off-street parking for two cars with this home. 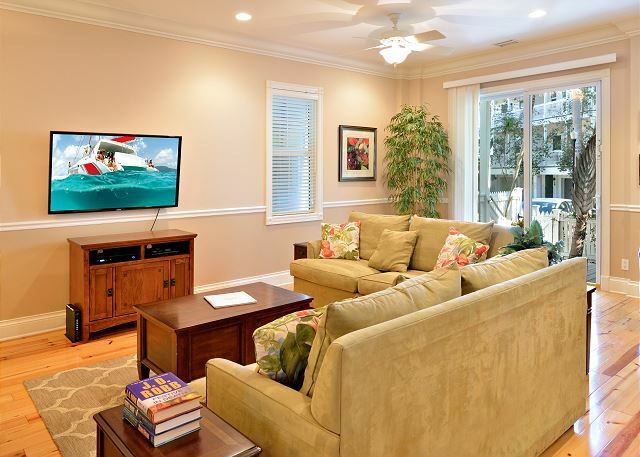 The living area has a large flat screen HDTV with DVD player, which you can watch from the comfort of the plush living room furniture or the kitchen/dining areas thanks to the open living plan of this main floor. The living room sofa also pulls out to a Queen-sized bed for sleeping extra guests. 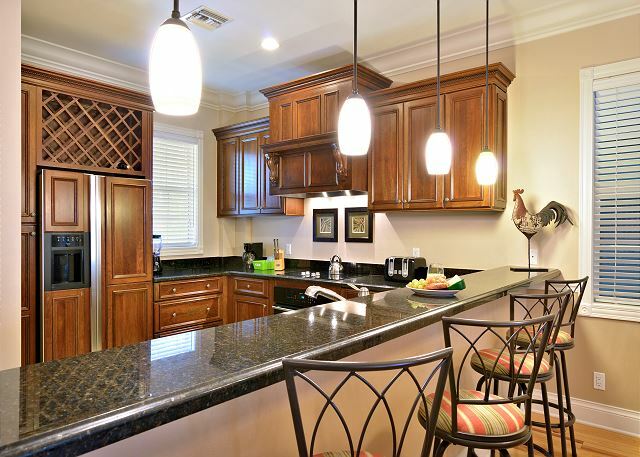 The kitchen is fully equipped with state-of-the-art appliances. The dining area has seating for 8, with 4 additional seats at the kitchen bar. Through the sliding glass doors of the living area is the private back yard complete with a large deck and a private pool. 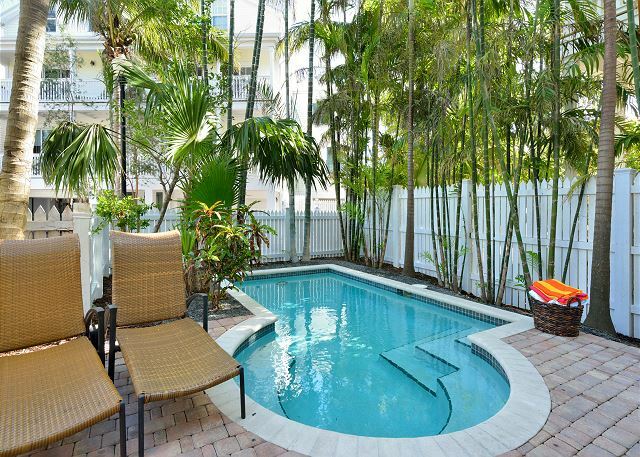 There are chaise lounges by the heat-optional pool when it’s time for a swim and some sun. 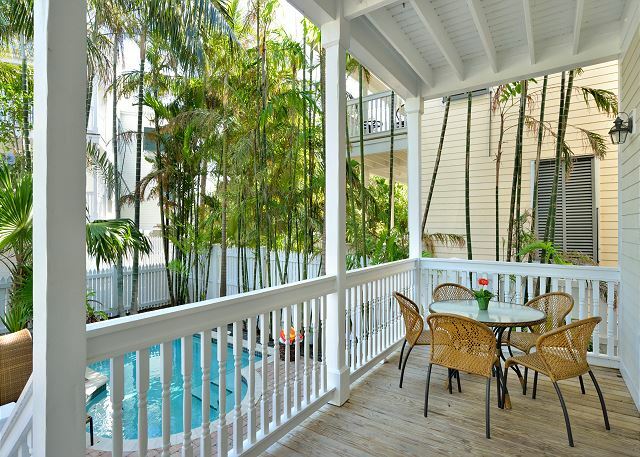 A full outdoor dining set by the pool can comfortably sit 6. 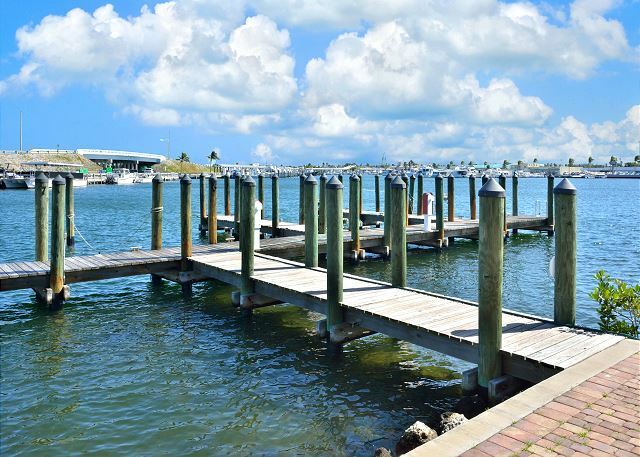 Cross the parking lot of this private complex to the docks where you will find your own boat slip. 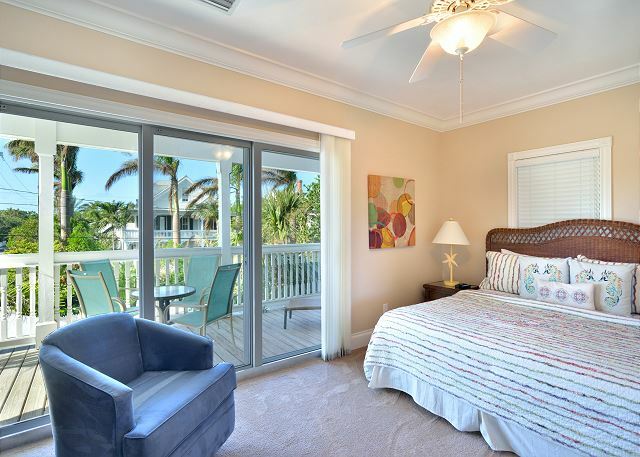 The master bedroom is on the second level and has a King-sized bed, a large flat-screen TV, plenty of dresser space, and a private balcony overlooking the water. 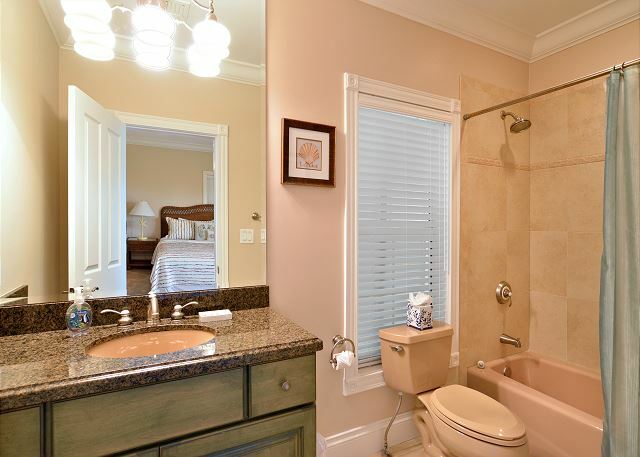 The master bathroom is en-suite with dual sinks, a large soaking tub, a glass and marble shower. The second bedroom is also on the second living level, and has a Queen sized bed, a flat-screen TV, and a private balcony. The second bathroom is also en-suite and has a tub/shower. 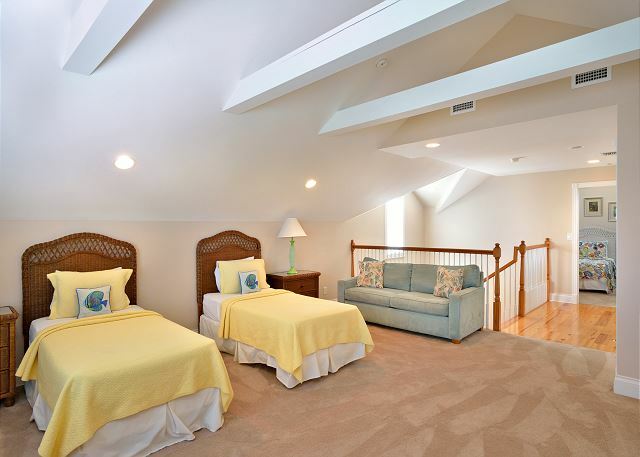 The third level can sleep a total of 6: there is a private bedroom with two twin beds that can convert to a King upon request, and an open room with another 4 twin beds, which can convert to 2 King sized beds upon request. The third level accommodations share one full bathroom with a tub/shower. Additional sleeping area is available in the living room, as the sofa pulls out into a Queen bed. 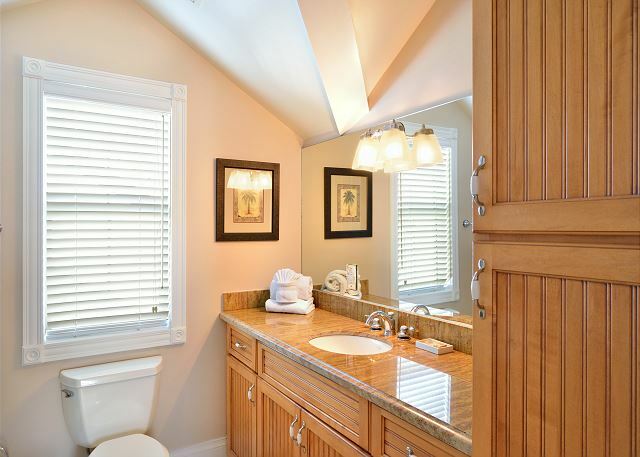 There is also a half bath off the living room on the main floor. 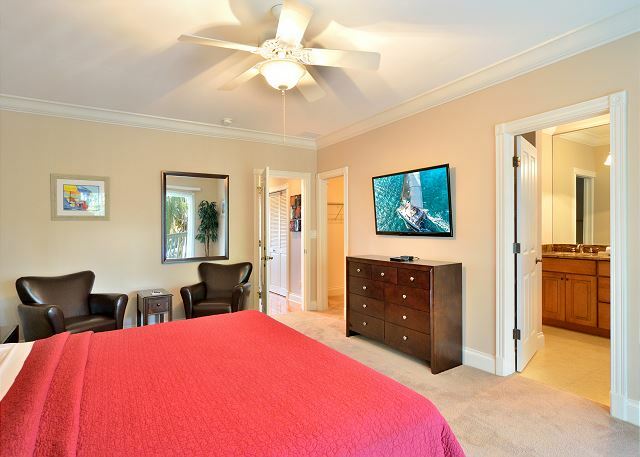 Amenities: Washer & Dryer, Central Heat and A/C, Ceiling Fans, Off-Street Parking, Flat Screen State-of-the Art HD TVs in all bedrooms and main living area, Fully Equipped Chef’s Kitchen with Gourmet Appliances, Private Heated Pool, Private Boat Slip, Large BBQ Grill, Linens and Towels provided. Interim housekeeping provided upon request. 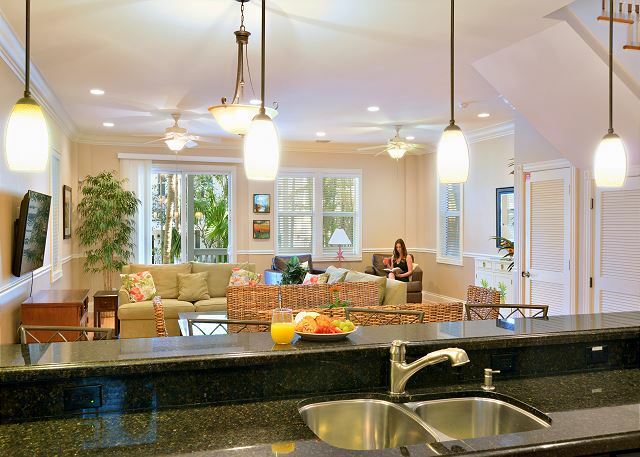 Wireless high-speed Internet access and full cable is included. 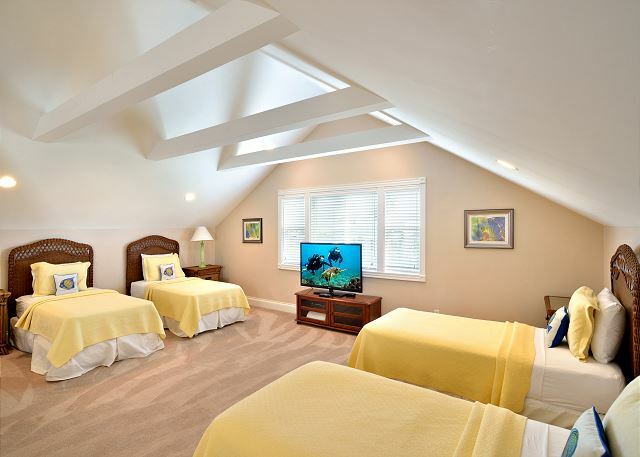 This property will accommodate 10-12 adults. We stayed with a group of 9 guys for a bachelor party. The house was huge and in great shape. We could walk to some restaurants and Dauntes pool party. The pool they have is small but good enough to hang out and take a dip. It’s heated so it’s more like a big hot tub. Arrival and departure was smooth and home was in great condition in a great location. Some confusion and challenges during the time leading up to the vacation. Our group of eight really enjoyed the open plan of the house. The upstairs open room worked well for the teenagers. We had a local family of 4 join us for dinner one night and there was plenty of room. Parking is tight. Would definitely stay again. This house was outstanding! great layout for ten friends. First floor is super open, two bedrooms with own bathrooms on the second floor, then a loft area and another additional bedroom on the third floor. Small pool out back - not much sun, more for a late night soak. We HIGHLY recommend renting bikes. 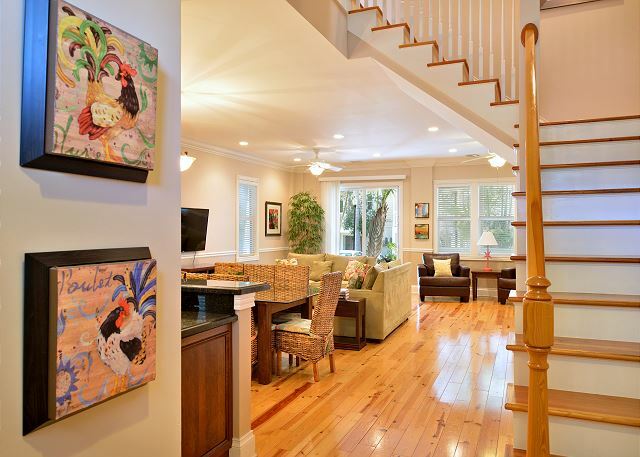 This house is a great bike ride away from all of the bars and attractions. Javier made the rental process seamless. We had a group of 11 girls for a birthday trip and the house was perfect. The home was spotless and had everything we needed. The virtualkey made check-in and check-out a breeze. Would highly recommend this home for rental and would stay again! 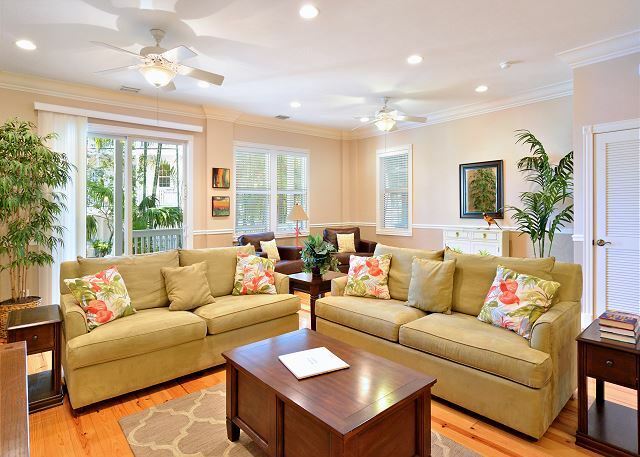 The house were perfect side by side, great location and nicely decorated and clean. Perfect house for our group of 8 which included 6 teenagers! Plenty of room for everyone. The house was very clean and exactly as described. Javier was a nice host who provided us with lots of information before we arrived. Make sure to make use of the grocery delivery service! It was a huge timesaver and we ordered everything we needed for breakfast and snacks. 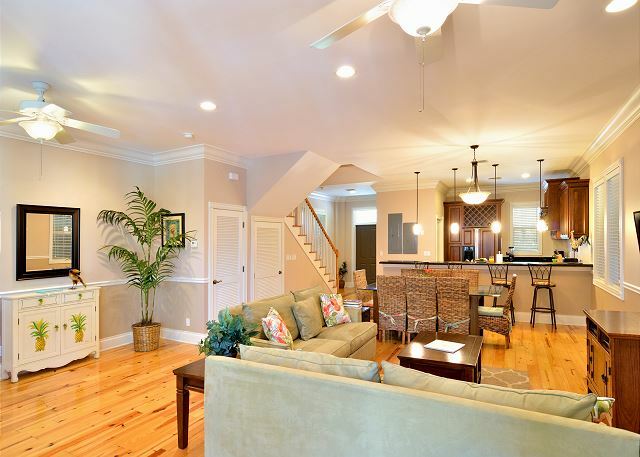 This is the first floor that has the kitchen, dining and living rooms. 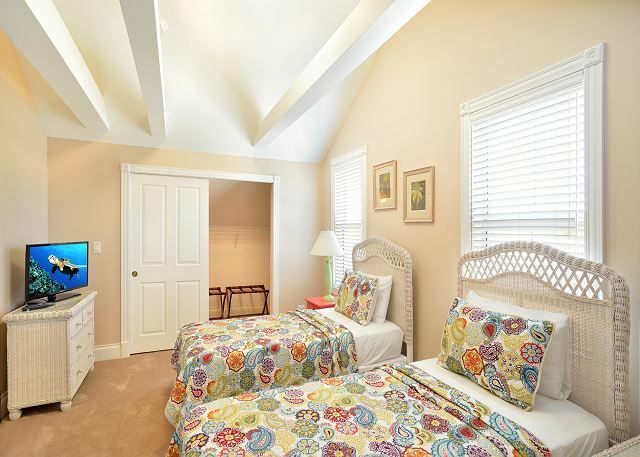 This is the 2nd floor, which has the master suite and a second en'suite.